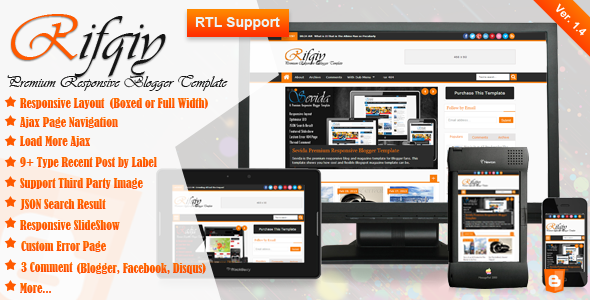 Rifqiy v2.0 is a blogger Template with responsive layout. This Blogger theme has a design that is perfect for magazine or portofolio websites. With an attractive color combination and impressed professionals and has many features. You can also Download Previous version of this template Rifqiy v1.35 Responsive Magazine/News Blogger Template. for more information about this Blogger template please click On Demo Button.